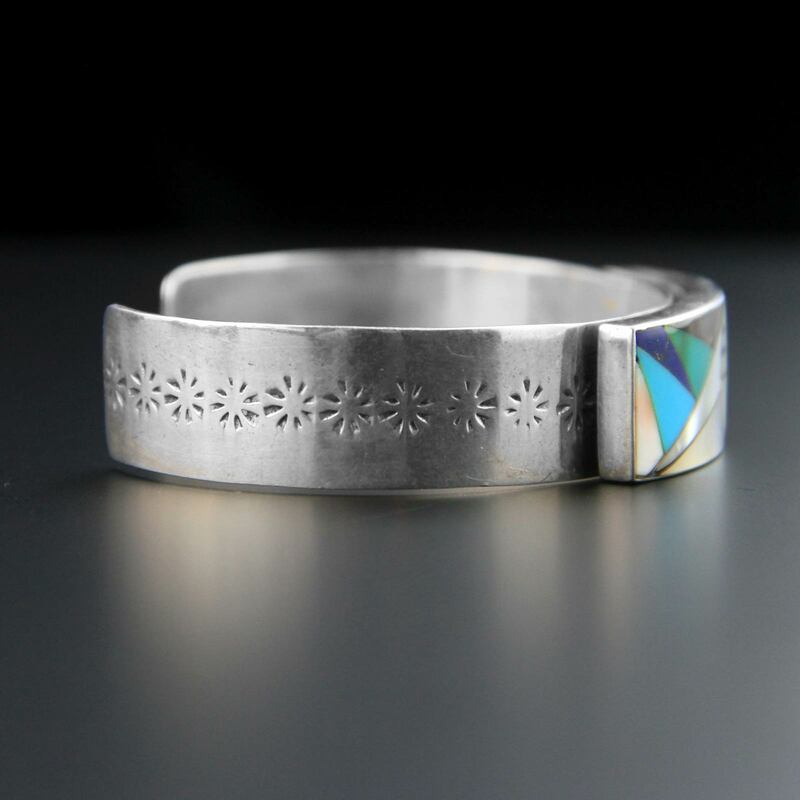 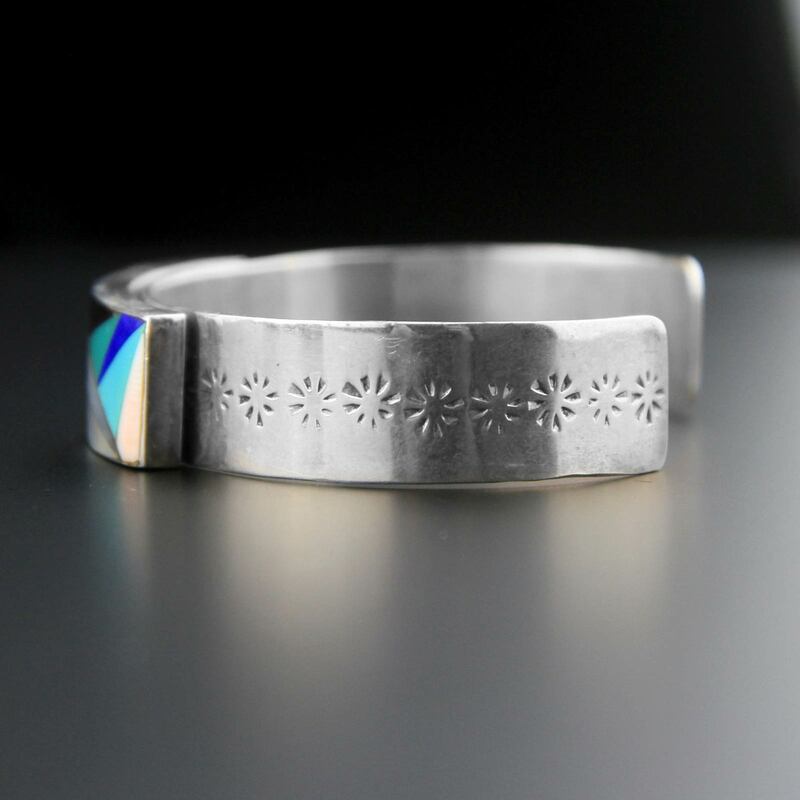 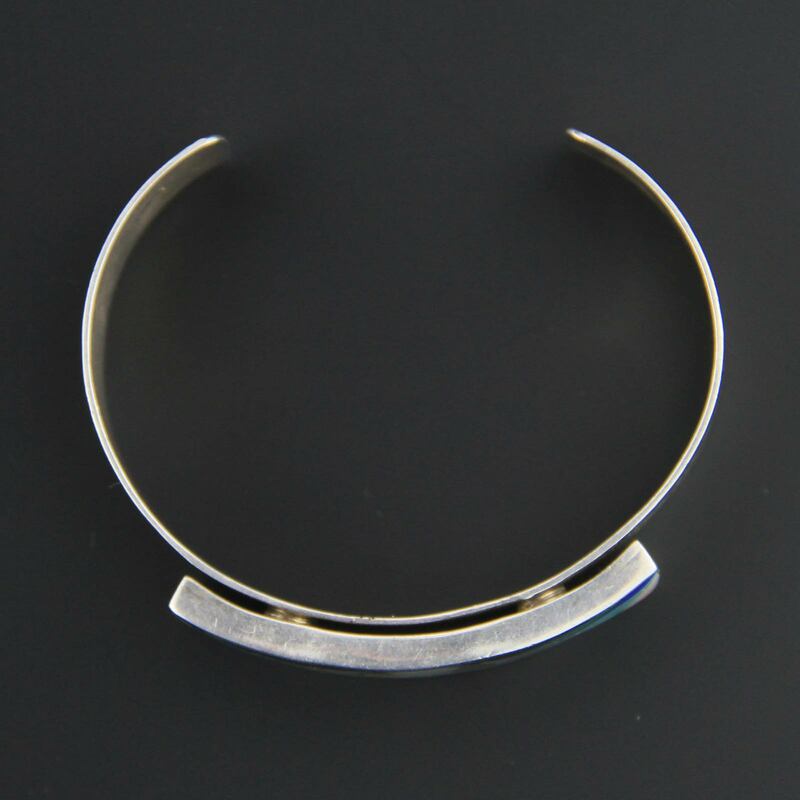 Beautiful sterling silver handmade cuff, circa 1980s. 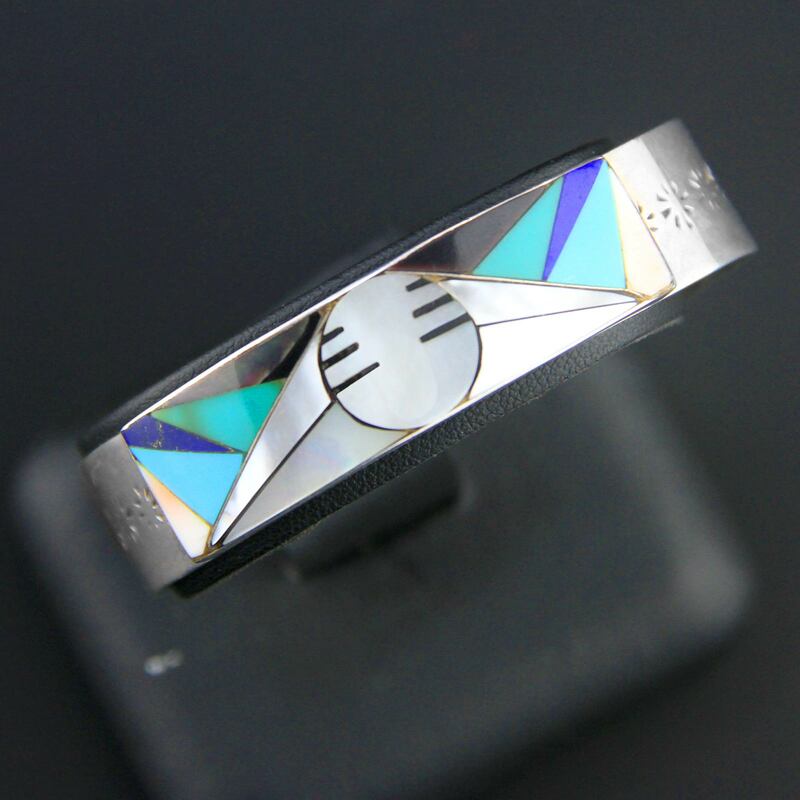 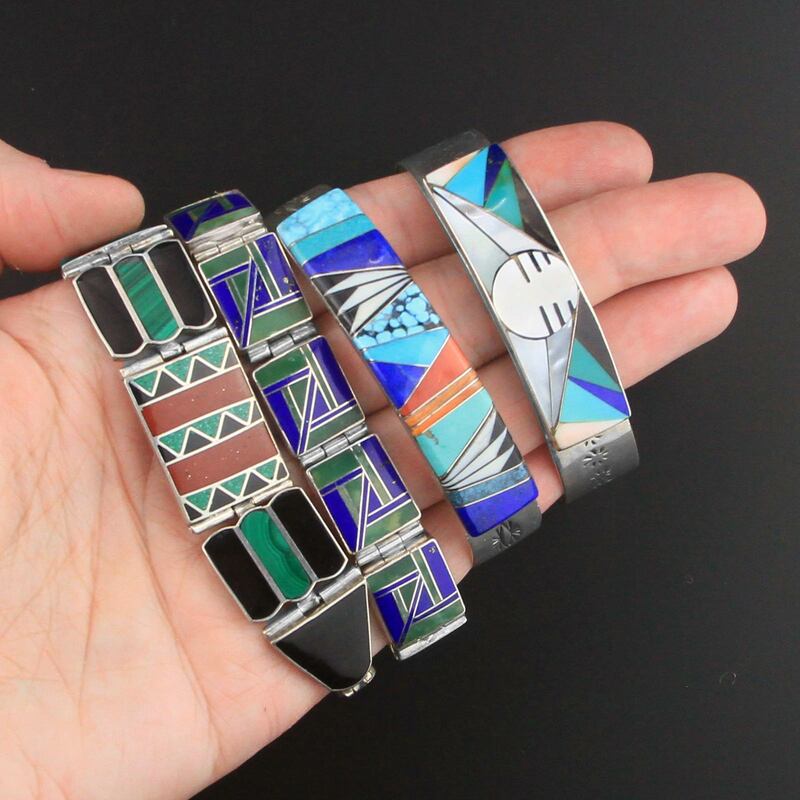 Native American, Zuni made with a spectacular raised inlay box of turquoise, mother of pearl, onyx and lapis, reminiscent of an abstract mountain and moon. 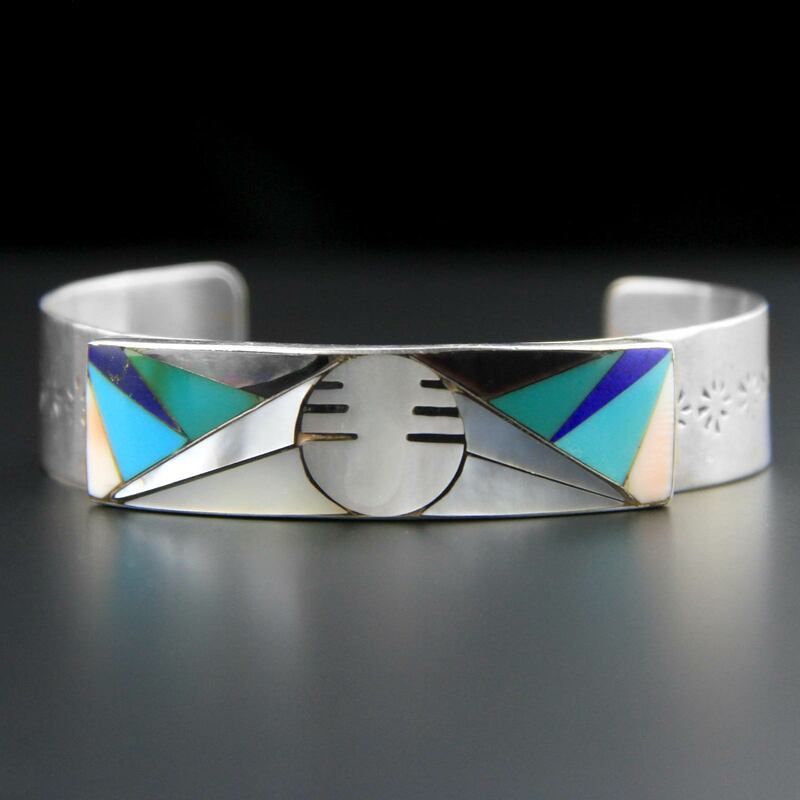 Stamped cuff sides, really beautiful colours. 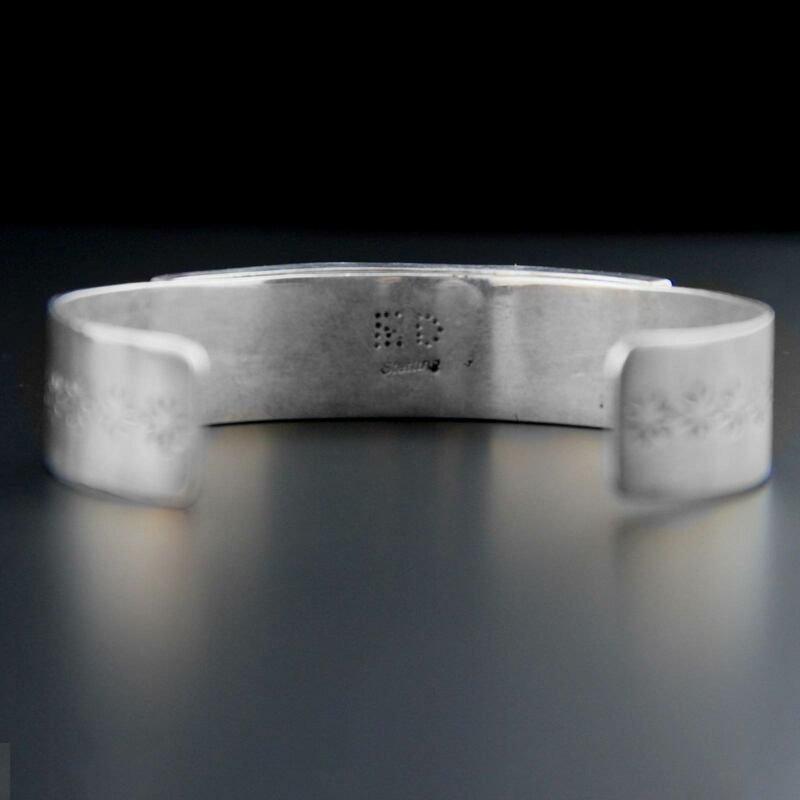 Last picture is to give you an indication of size.